This often-chaotic, no-reservation gem on the corner of Staunton and Peel Streets is another Black Sheep creation – the company’s stable includes the Hong Kong branches of Motorino and Boqueria. 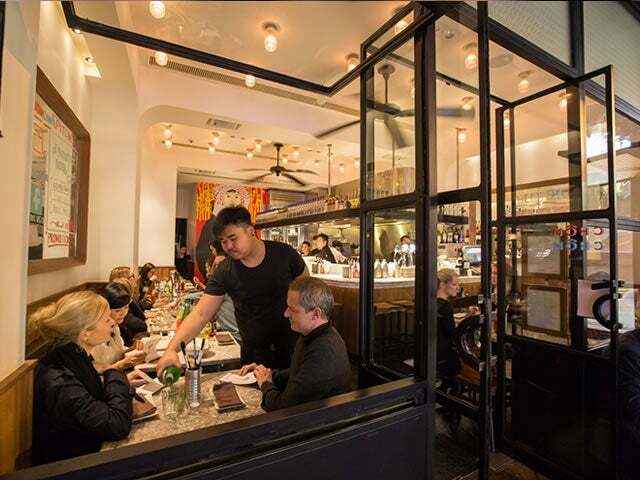 This often-chaotic, no-reservation gem on the corner of Staunton and Peel Streets is another Black Sheep creation – the company’s stable includes the Hong Kong branches of Motorino and Boqueria – and offers good quality, reasonably-priced Vietnamese and Vietnamese-inspired food and cocktails. 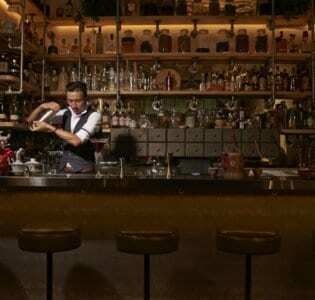 It is small, and the bar in the centre takes up a fair amount of space that could otherwise have put to good use but the effect is a tightly-packed space with the requisite atmosphere. Scant seating outside is good for smokers, those waiting to get seated inside, and those wanting to experience the true Vietnamese “Bia Hoi” experience of “sipping fresh beer on busy street corners.” With its origins firmly rooted in the north of the country, the food is great either as an accompaniment to the impressive selection of Vietnamese beers, or as a family-style sit-down with friends or a date. Chom Chom also does a great line in Indo-Chinese-inspired cocktails, with appropriately cringey names such as Pho-jito (Rum, Lemongrass, Lime, Mint, Thai Basil, Pepper) and Far East Smash (Sugar Cane-Infused Vodka, Lemon, Mint). It’s central location makes it great for people watching, and the high ceilings, adorned (of course) with lazily turning ceiling fans, does a pretty good job of importing the Vietnamese vibe. It often takes a while to get seated – often it’s best to depart for an aperitif elsewhere while waiting for the call – but it is usually worth the wait.